Tommy Greene threw a no-hitter on May.23/1991 when he was a relatively unknown pitcher. 2 years later he was part of a 5 man rotation for the Phils that all won at least 12 games en route to a World Series Appearance. Tommy Greene came over to the Phillies with some guy named Dale Murphy just after the 1990 Non-Waiver Trade Deadline. In just his second start of the season in 1991, he threw a no-hitter against the Montreal Expos at Olympic Stadium on May.23/1991. 5 days later, this time back at Veterans Stadium, Greene threw a three hit shut out versus the team from Canada. In that 1991 year, 4 out of the 13 wins Greene had were against the Expos, where he only gave up 1 earned run in 32 Innings Pitched against the NL East Opponent. Greene rode that success to a 13-7 year with a 3.38 ERA. Unfortunately he spent half of 1992 with arm problems. 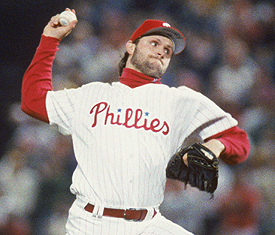 In 1993, the Phillies hurler was 16-4 with a 3.42 ERA and finished in 6th for NL CY Young voting. He was absolutely destroyed in 3 Playoff Appearances though versus the Atlanta Braves and the World Series Winning Toronto Blue Jays, where he carried a 13.11 ERA for the postseason. Incredibly, he was 1-1 for that playoff run. Tommy Greene had shoulder problems that persisted and he only ever won 2 more games in the Majors. For the Phillies, his record was 36-22, although he headed into the 1994 player strike at 36-17. Mark Fidrych was known for strange manicuring of the mound procedures every time he pitched. Only if he pitched in today’s era, the doctor would have fixed his arm better with Tommy John Surgery. This guy is the best of example of a phenom pitcher capturing a city by storm. At age 21, Mark Fidrych blitzed onto the scene with a 19-9 record, with leading the league in ERA (2.34) and CG (24), even though he did not make his first start until early May. He won the ‘Rookie of the Year’ award and his pitching galvanized the city of Detroit despite a 74-87 season. 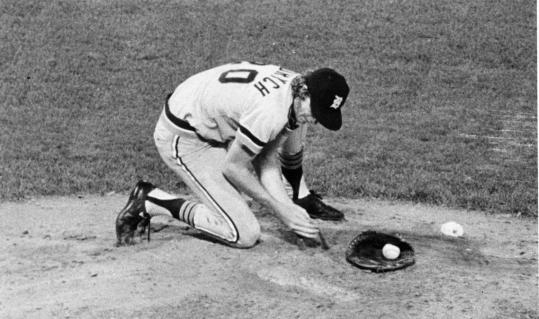 Fidrych displayed some of the weirdest antics on the mound. He would fix scuffs on his cleats, talk to the baseballs, manicure the pitching mound and throw back baseballs to the home umpire he thought ‘were going to make him give up hits.’ As a tall and lanky player, with constant body-jerk movements, he was given the nickname ‘The Bird’ with his likeness to Sesame Streets character ‘Big Bird.’ Fidrych had his own fans come out for games at Tiger Stadium. These fans were often referred to as ‘Bird Watchers.’ He was a big draw for attendance for both home and road games. His 16 starts drew half of the teams 81 home games attendance in 1976. Fidrych was truly a national celebrity by the time he started his second year. 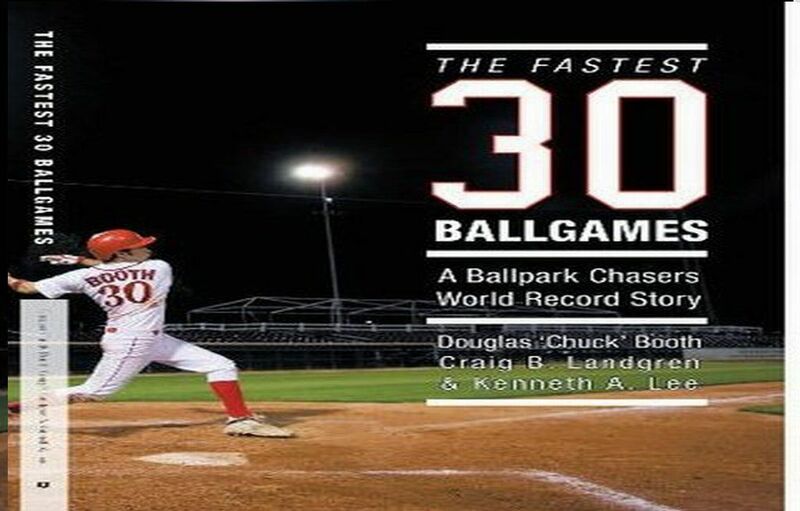 However, a torn rotator cuff plagued him for the remainder of his brief career, as it went improperly diagnosed until Dr. James Andrews saw him in the mid 80’s. Fidrych was still a popular figure around MLB until he was killed while working on his truck in an accident in April of 2009. Photo courtesy of ESPN. 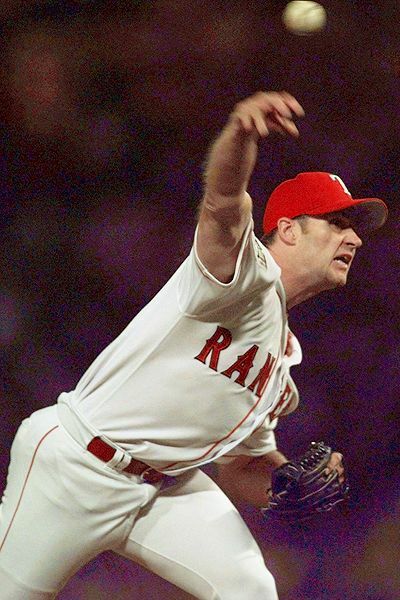 In his first 43 Appearances in 1999 for the Rangers, Zimmerman only gave up runs in 3 of his games and had an 0.75 ERA as a rookie heading into August that year. Unbelievable for a bullpen arm that pitches half of his games at The Ball Park In Arlington. Jeff Zimmerman grew up in Calgary, Alberta, Canada and played baseball in British Colombia for his University days before joining the independent league called the Northern Baseball League in Canada. He was somewhat of a hometown hero for many people around my neck of the woods. He was signed by the Texas Rangers in 1998. After he was called up to the Majors in 1999, he tied a record for winning his first 9 decisions. He parlayed his great first half into an ALL-Star Appearance. This is a rare occurrence amongst MLB circles, plus you add that is from BC Canada, and you can see why it is such a great story. Zimmerman finished the year going 9-3 with a 2.36 ERA in 65 Appearances. This was good for 3rd place in Rookie of the Year Voting. 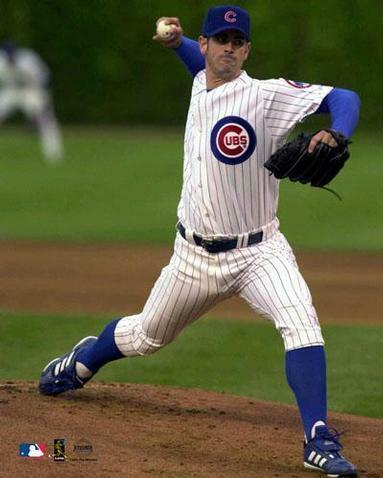 After a sub-par 2nd year in 200o, Zimmerman took over the closers role in 2001 and had another great campaign with 28 saves out of 31 opportunities and struck out 72 hitters in 71.1 Innings. Zimmerman was rewarded with a 3 year/10 Million Dollar Contract, but never pitched another inning in the Major Leagues. He has been though two Tommy John Surgeries and had continued to try a comeback as late as 2009 with the Mariners. He was recently voted as the 46th best player ever to put on a Texas Rangers uniform. Derrick Turnbow was picked off waivers by the Brewers in 2004 despite only giving up 1 run in 21.2 IP for the Angels in 2003 and 2004 combined. Turnbow would appear in 210 games for the Brewers between 2005-2007. Derrick Turnbow found out that is tough to duplicate life as a closer for multiple years. He came storming out of the gate for the Milwaukee Brewers in 2005, going 7-1 with a 1.74 ERA and 39 Saves and 62 strikeouts in 69 games. It was a remarkable year for a relatively unknown commodity. Based on that first year in which he tied the club record for Saves, The Brewers gave him a 3 YR/6.5 MIllion Dollar Contract. He started 2006 just like he had ended the 2005 year. It was 11 appearances before he gave up his first run. By July, he had saved 23 out of 28 contests and still had a respectable ERA of 3.28 to be named to the NL All-Star Game. It was about that time when it all came undone for the big man from Tennessee. He lost 4 games in July, was knocked out as the closer and ended the year 4-9 with a 6.87 ERA. 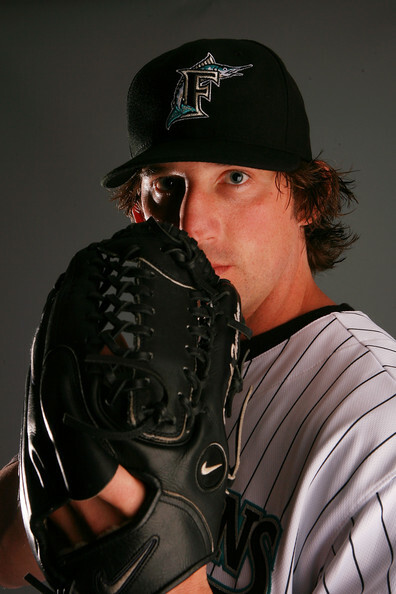 Turnbow improved a little bit as a bullpen guy in 2007, where he was 4-5 in 77 games with 84 strikeouts in just 68 innings pitched, yet he still had a 4.63 ERA because he also walked 46 batters in the same time frame. In 2008, he gave up 11 runs in his first 6 Innings and was designated for assignment by the Brewers. By the summer, he was out of the organization. After a couple of years of injury, he tried to make the Florida Marlins out of spring training in 2010, before he was released in Mid-March. He announced his retirement from baseball soon thereafter. Posted on August 22, 2012, in The Rest: Everything Baseball and tagged all-star game, Atlanta Braves, boston red sox, Chris Reitsma, Chuck Booth, cy toung award, Dale Murphy, derrick turnbow, detroit tigers, dusty baker, florida marlins, james andrews, jeff Zimmerman, joba chamberlain, john rocker, kerry wood, kevin ritz, mark fidrych, mark prior, moises alou, montreal expos, olympic stadium, philadelphia phillies, rookie of the year, sesame street, stephen strasburg, steve bartman, texas rangers, todd ritchie, tommy greene, Tommy John Surgery, toronto blue jays, veterans stadium. Bookmark the permalink. 1 Comment.